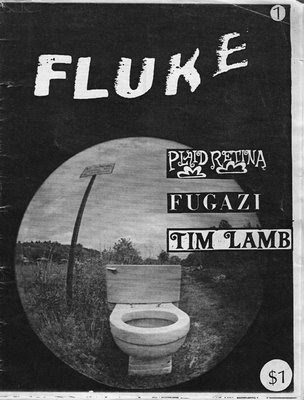 Fluke fanzine - ZineWiki - the history and culture of zines, independent media and the small press. Fluke was created in North Little Rock, Arkansas in the summer of 1991, by Steve Schmidt, Jason White and Matthew Thompson. Steve planned on doing a zine called Plaid, which never saw issue one. He did have a couple of interviews with the bands Fugazi and Plaid Retina, took photographs and wrote a slew of record reviews. This jump-started the first issue of Fluke. Jason interviewed Tim Lamb, who put out Lighten Up! zine and Trusty's first 7", on his Soma Records label. Jason also included some writing and record reviews. Matthew contributed some writing, photography, and record reviews as well. Steve, Jason and Matthew worked on the layout of the zine and, with the help of a few contributors, Fluke was born. #2 was printed the next year, in the Fall of 1992. 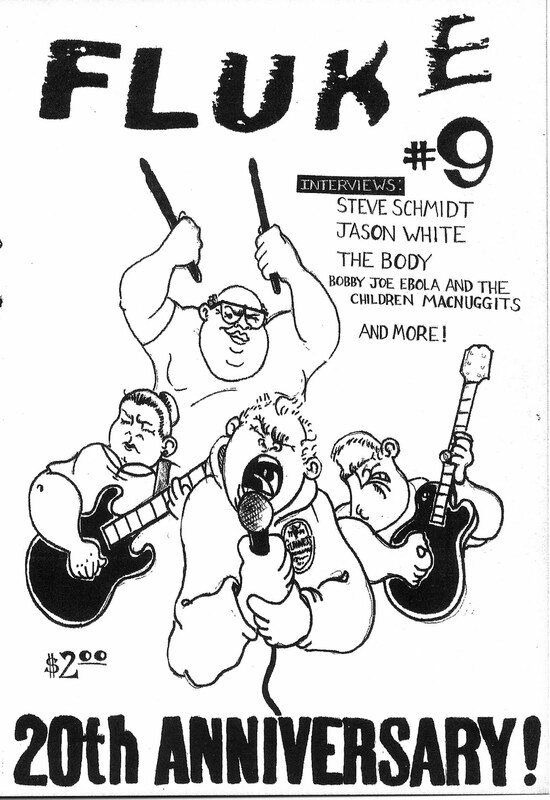 The "Fluke Boys," as some called the three friends, ended their collaboration but Matthew continued to publish it sporadically, with the most recent issue, #9, 20th Anniversary, being released in May of 2011. Steve now lives in Chicago and plays in the band Avenue Boulevard. Jason White now lives in the Bay Area and plays guitar for Green Day. Matthew Thompson now lives in Phoenix, Arizona and continues to publish Fluke.